More beautiful, individual, faster. We service & tune your car with one aim: 100% convincing! 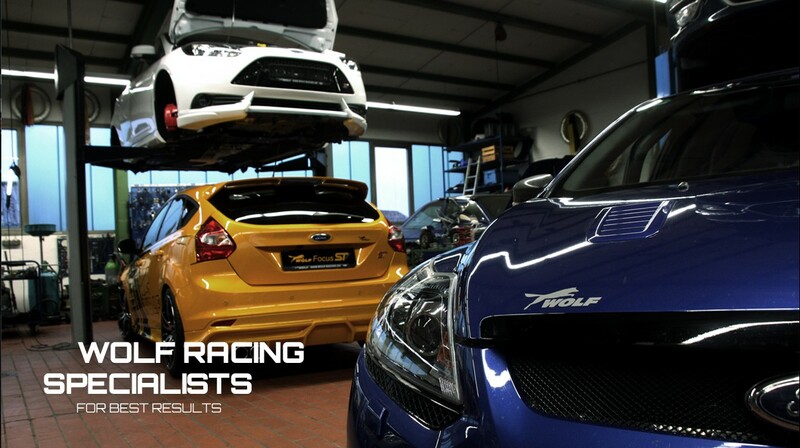 The WOLF service dealership for Ford and WOLF Racing offer a wide range of services for your car. All of our services & repairs have one thing in common: with decades of experience and passion we offer you a very personal and sympathetic service. Also, as an authorized FORD service partner you can rely on our proven & certified quality. At WOLf RACING we provide you with all work related to emissions and inspections (German TÜV/AU) plus the actual test itself - everything for reasonable prices. As an authorized Ford service dealer and repair station we do perform all kinds of inspections and repairs according to guidelines of Ford models as well as other brands. This includes Ford passenger cars and commercial vehicles. Ask for a quotation.